She attended Howard University, where her art portfolio was of mostly black people. She has adopted black siblings courtesy of her parents. She’s been a spokesperson for Spokane, Washington’s black community on national television, and she’s the president of the Spokane chapter of the National Association for the Advancement of Colored People (or NAACP). And yet, Rachel Dolezal is not black in any way, shape, or form. She’s just pretending to be. Rachel Dolezal, the NAACP president in Spokane, Washington, has been pretending to be black to the point of changing her physical appearance to look more authentic. It’s not that she had braids or picked her perm out to be more frizzy, it’s that she’s actually trotted out a fake black father to back up her claims of being mixed race, as well as been the victim of multiple possibly-faked hate crimes and incidents of discrimination. Her parents say she’s German and Czech, which is about as white as can be without being part marshmallow. Needlessly, of course; the NAACP has no problem with its workers being white or any race, given their goals. In a way, it’s kind of a shame. 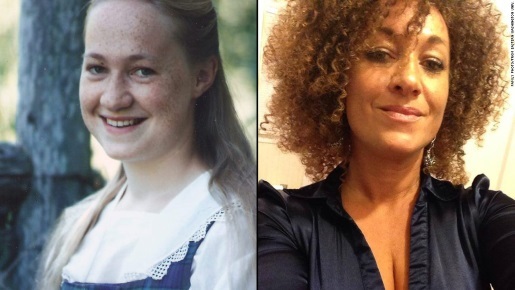 While we live in a world where women can become men and vice versa, there’s no such thing as transracial (at least, not yet, though Michael Jackson seemed to try his hardest to make it a thing), so rather than being openly transracial or a white woman who has worked very hard to advance human rights and equality for all, Rachel Dolezal is just that nut who got a good tan and permed her hair in an attempt to look like a mixed-race woman rather than just the white person she was born and raised to be.